The Seahawks played their most complete game of the season in their dominant 33-10 victory over the Atlanta Falcons. Not only that, but they did it on the road to go to 5-1 on the season away from CenturyLink. And it was a 10am PT start. The idea that Seattle isn't a good road team can officially be put to bed if it hasn't already. At 9-1 overall, Seattle is in a very different position than this time last year when they earned a 30-20 victory over the Vikings to go to 5-3. Now they're in position to earn home field advantage throughout the playoffs and the Vikings are going to have to fight to not finish last in their division. Master Sgt. 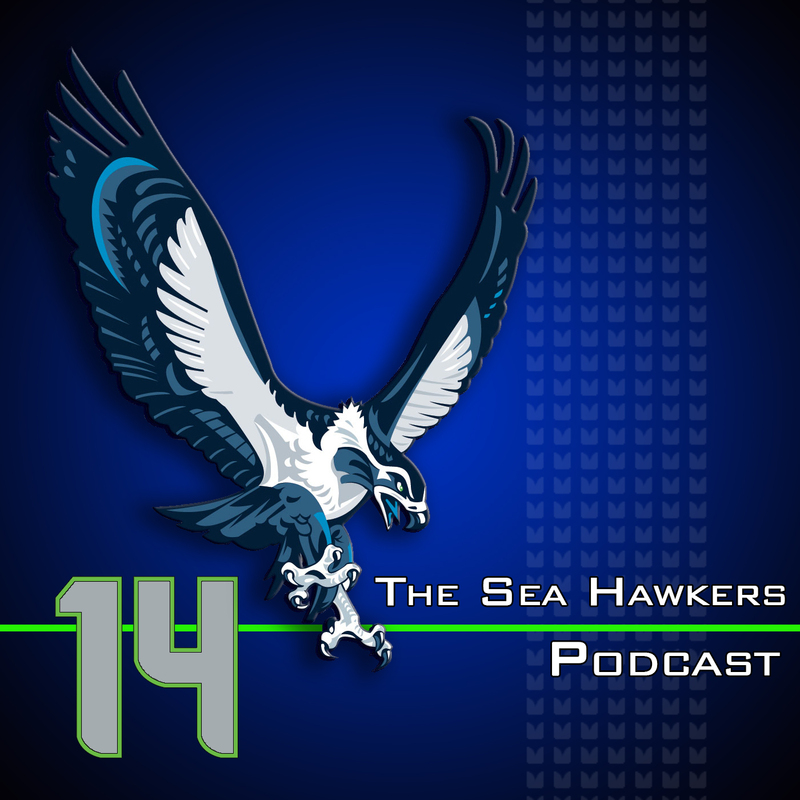 Traci Williams, president of the Military Sea Hawkers and board member for Operation Ward 57, is on the show this week to talk about Sunday's Military Appreciation Day activities and the Seahawks matchup against the Vikings. There will be a Medal of Honor recipient raising the 12th Man flag, another MOH recipient leading the team out of the tunnel and plenty of other activities to honor our men an women who are wearing and have put on a uniform in defense of our country. Adam and Brandan take a look at how Russell Wilson is comparing to other quarterbacks in their sophomore season. From the email bag they talk about why you aren't seeing a lot of major contributions by rookies and talk about how not to be a “bandwagon” fan. This week's candidates for the “do better” segment belong to Donald Penn, offensive tackle for the Tampa Bay Buccaneers, and Bears fan John Grant who tazed his wife after a bet on the Bears vs. Packers game. Earl Thomas gets Adsam's nod for Better at life than Skip Bayless, and in the spirit of Veteran's Day,Brandan picks the team of veterans at ESPN and the video montage that played during their recognition. A lot of Seahawks coverage and much more crammed in to one show this week. Adam and Brandan talk about the Buccaneers and how even up 21-0 it never felt as though the Seahawks were ever getting dominated in this week's game. It all led up to an historic comeback for Seattle topped off by another game winner by Steven Hauschka. The Seahawks get the 27-24 overtime win. There's plenty of fawning over Russell Wilson this week, including a stiff arm perhaps only rivaled in recent memory by Marshawn Lynch in his Beast Quake run. Despite an electric punt return by Golden Tate, Adam still isn't keen on the idea of returning punts that are coming down inside the 10-yard line. With the way Matt Ryan and the Falcons are playing this year, there's nothing scary about this Atlanta team. But with the way Seattle has played after Adam's stone cold lock predictions, it's not worth risking it this week with a similar call. Despite the injuries to the Falcons, Harry Douglas and Tony Gonzalez have the ability to inflict damage on the secondary. After the break, Adam and Brandan give their opinion on what's been reported so far in Miami in regard to Jonathan Martin and Richie Incognito. They follow up by sending a message to NFL commissioner Roger Goodell and Jaguars wide receiver Justin Blackmon in the “Do Better” segment. Finally, a pair of quarterbacks are inducted into the club of those who the guys deem “better at life” than Skip Bayless. Nick Foles and Jason Campbell earn the top honors of the week for their play against the Raiders and Ravens. Episode TWELVE is dedicated to the 12th Man. Not only do we get to discuss one of the Seahawks most impressive victories this season against the Cardinals, we bring on a former member of the Seattle Seahawks. Adam and Brandan also talk about the upcoming road game against the Rams. Adam says that a “land hurricane” can't even save the Rams from a loss this week. One thing is clear, Tafoya is not impressed with the way the Kansas City Chiefs broke the Seahawks noise record. Instead of having the crowd roar be an organic part of the game, he says that Chiefs fans were directed to assemble what fans were remaining in the stadium and let out one big cheer in one final attempt to break Seattle's mark.